This Carnival King PM30CART is the best way to prominently display your Carnival King PM30R Royalty Series 8 oz. popcorn popper or other compatible popper while adding the convenience and merchandising potential of mobility. This cart features a 1" lip around the top to hold the popper in place. With its sturdy handle and large, 14 1/2" wheels, this mobile unit looks great while giving you the versatility to take your popper anywhere! The included 1 1/2" casters with brakes make transportation and set-up even easier and more secure. 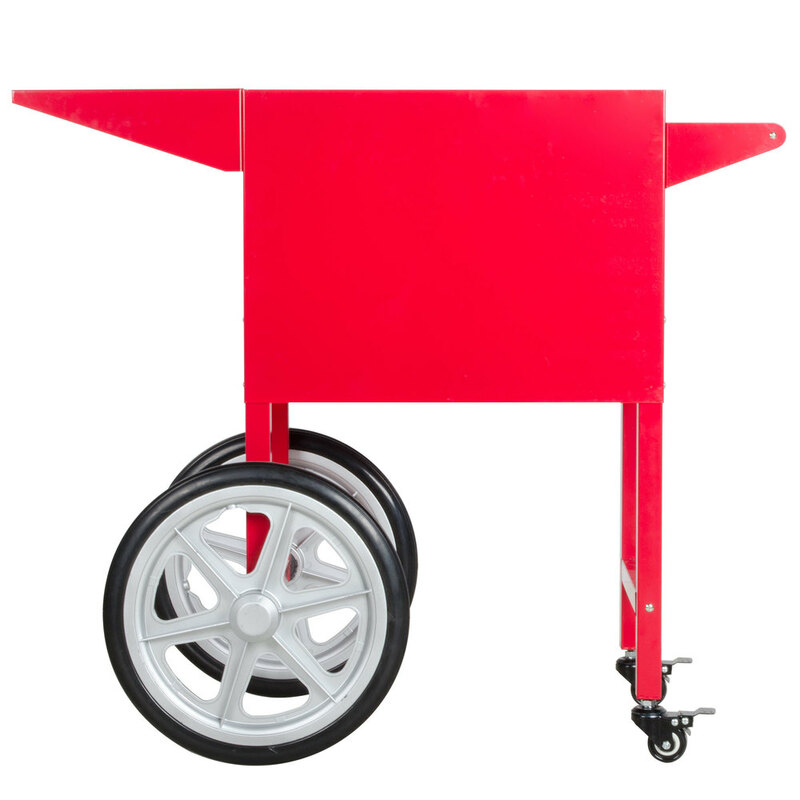 This PM30CART comes standard with a large side shelf to prepare popcorn and hold condiments, while an underneath storage area provides ample space for scoops, popcorn cups, or any other necessary supplies to help your popcorn sales soar! A tool is included for installing the wheels.